I had a bigger challenge cutting out corn and soy. This is because it is in everything. Seriously, read your food labels - it’s in EVERYTHING! Eliminating these two foods took more effort but it was manageable. But even after eliminating these things I wasn’t feeling, or getting any better. 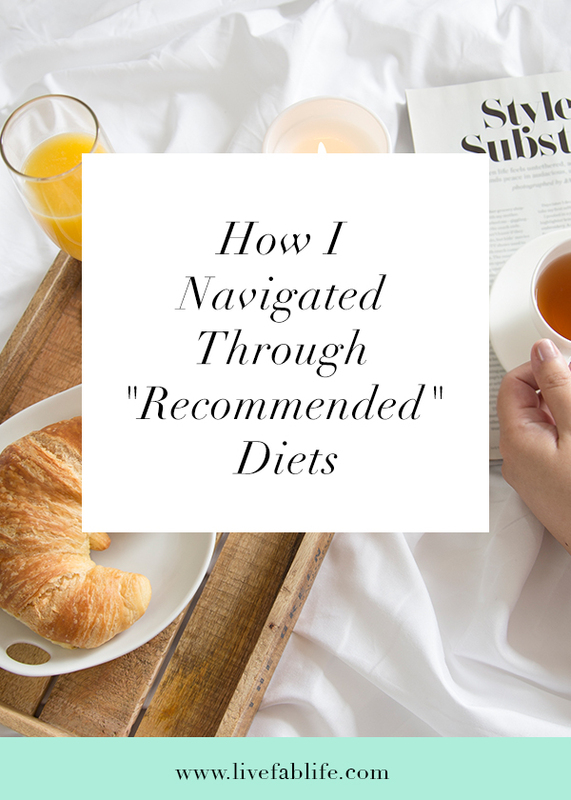 I consulted Dr. Google and learned of recommended diets for Adrenal Fatigue and SIBO. On the surface, the recommended programs have a lot of overlapping features. I naively treated them as one program instead of two separate and distinct protocols. Not surprisingly I still wasn’t getting any better and was more confused than ever. At the same time a health coach I follow was starting a group program. She specializes in digestive disorders and I knew that she had the same conditions that I did. Fed up and more confused than ever I joined her program. I learned was that the recommended dietary guidelines for condition had major differences. Each recommended and restricted different, specific foods. Based on her experiences, she suggested that I focus on treating my IBS symptoms. This meant following the Low FODMAPs program. I had never even heard of Low FODMAPs before. These are foods (starches that turn to sugar - so think carbs) that the body may not absorb well. They then become stuck in the small intestines and becomes fermented by the bad bacteria (SIBO). It then produces gases, resulting in IBS symptoms. Monash University in Australia conducts the most extensive ongoing research on IBS. They recently published a blog post on how the body digests FODMAPs. A Low FODMAPs diet is not easy to follow. I had no idea what foods are high or low in FODMAPs. And sometimes, its even determined by serving sizes. For example, ½ a cup of broccoli is low in FODMAPs. But ⅔ of a cup contains Polyols and is mid-high in FODMAPs. Thankfully, Monash University has an app with a food guide that has been my bible. Foods like apples, onions and garlic are high in FODMAPs. Through trial and error I learned that they trigger my IBS symptoms. I was so hard (and still is) for me to know that "healthy" foods like this make me feel so crappy. The first month I follows the Low FODMAP program my symptoms were gone. I lost nine pounds of bloat, was sleeping like a baby and no longers experienced IBS symptoms. This was the catalyst for my belief that foods can be medicine. I was healing through food, not prescriptions. But the Low FODMAPs program isn’t meant to be long-term. When I tried to reintroduce higher FODMAP foods my symptoms returned. There are also a lot of low FODMAP foods that I can’t eat. For example, the program allows some dairy and soy products. Since I already know I have an intolerance for those things I can’t eat it - even though they’re low in FODMAPs. Other foods like gluten-free grains and nightshades (tomatoes, peppers, etc) are also low in FODMAPs. But I also have reactions to these foods and can’t eat them either. This is another example of bioindividuality. What works for one person may not work for another. And this is why I don’t follow a defined dietary program. Instead, I takes parts of various programs and change them to what works for me. I follow a mostly, but not strictly Paleo diet + Low FODMAPs excluding the foods that I know I cannot tolerate. My symptoms are a thousand times worse when I eat something that is high in FODMAPs or on the list of foods I am intolerant of (sugar is also on that list). I believe that the foods we eat significantly impact on our health. Even beyond the general knowledge of fats, carbs and cholesterol. I know this because I experience it every day. This is what led me to attend the Institute of Integrated Nutrition. My appetite for this kind of knowledge became insatiable. I wanted to learn it for myself. Then help so many others I see who need help too.